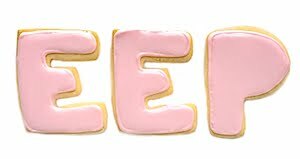 Peep Pie! Creamy, Dreamy Pie for Easter Sunday! / Hey, EEP! Peep Pie! 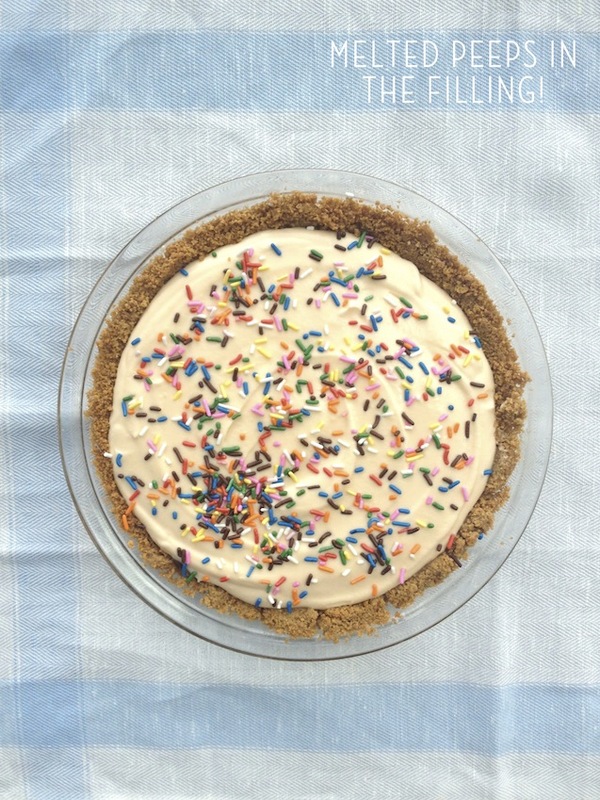 Creamy, Dreamy Pie for Easter Sunday! 1. Make the crust: Preheat the oven to 350˚. Pulse the graham crackers in a food processor until coarsely ground Add the butter, sugar and salt and pulse until the mixture resembles wet sand. Press into a 9-inch pie plate and bake until golden and set, about 10 minutes. Cool completely. 2. Make the filling: Heat the Peeps, milk and vanilla in a saucepan over medium heat, stirring, until melted; cool completely. 3. Beat the heavy cream with a mixer on medium-high speed just until stiff peaks form. Fold marshmallow mixture into the whipped cream using a rubber spatula. Spoon into the prepared crust and smooth the top with an offset spatula. Garnish with sprinkles. Chill 3 hours or overnight until set. Note: To customize the flavor, spread 1/3 to 1/2 cup raspberry jam, lemon curd, dulce de leche or hot fudge on crust before adding the filling (pop crust in the freezer 5 minutes if using a warm/hot ingredient to chill). Made it for Easter brunch. Tastes great. God some good compliments too.